Are you locked out? Do you need emergency services for your locks right now? Call Texas Safe & Lock at 469-467-7233. Texas Safe & Lock your Dallas locksmith, provides professional service 24 hours a day, 7 days a week, 365 days out of the year and can be there fast no matter when you call. The technicians at Texas Safe & Lock aspire to be as quick as possible. The technician responding to your call, equipped with the state-of-the-art locksmith tools, will be at your disposal. 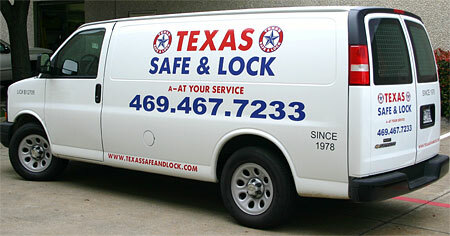 Texas Safe & Lock offers full line of services for residential, commercial and automobile locks. The large selection of keys and accessories at Texas Safe & Lock makes it possible to fulfill all your requirements, and their rapid and reliable service comes at affordable prices. Texas Safe & Lock your Ft. Worth locksmith, guarantees you the quickest, most reliable service, at the best price.